Fast profits is another in a long line of free binary options trading software. The developers of this system are telling us that their app is guaranteed to make over $20,000 a day and they’re giving it away for free. 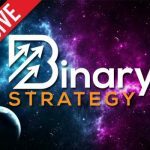 Today I will be providing a review and letting the binary today readers understand the potential benefits and drawbacks of this new trading program. The video on the front page for the fast profits software shows a couple news clips talking about how online business can be rewarding. Then the video jumps into a handful of pictures of private jets, cars and large houses. After this, the developer starts to talk to us and tell us that he’s going to make us stinking rich. Then, as per usual we start to see screenshots of bank accounts and binary options trading accounts with thousands of dollars in them. The developer of the fast profits software claims that people who have seen this email have been chosen by a lucky bounce of the ball. This is not true in the slightest, as affiliates are emailing as many people as they can about this system so thousands of people will likely see this page and the smart ones will close it as soon as they do. I also have the suspicion that this website is not certified by trust guard at all and they’ve just taken screenshots of these images to make the website seem more reliable.